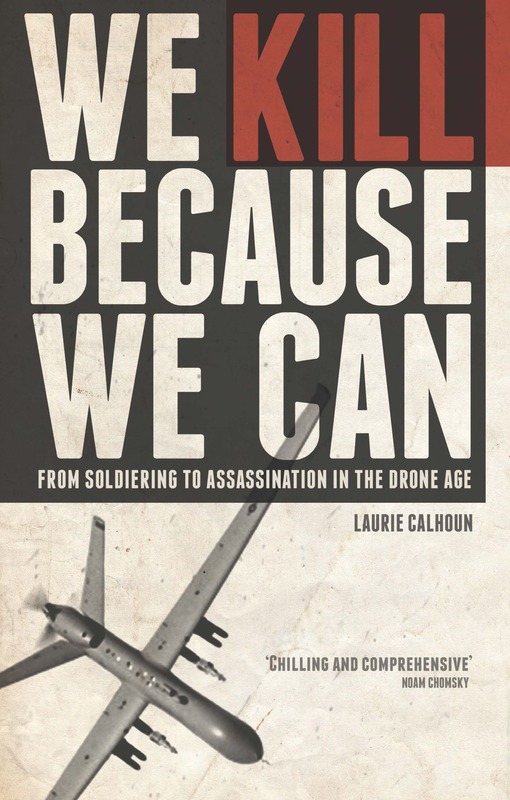 Lethal drones have come to symbolize “smart power” to Democrats. In the first Democratic presidential debate, former Secretary of State Hillary Clinton went so far as to characterize the “no boots on the ground” 2011 intervention in Libya as “smart power at its best”. Judging by their campaign trail rhetoric, Republican candidates tend to believe the opposite: drones are not a symbol of smartness and savvy, but of weakness. Usually drones are not mentioned at all, but at last night’s Republican debate in New Hampshire, they were positively “dissed”. Senator Ted Cruz has enthusiastically proclaimed that he will “carpet bomb” ISIS strongholds and make the sand “glow”, suggesting his readiness even to use nuclear weapons against the latest bearers of the Al Qaeda torch. When asked whether he knows that ISIS is embedded among civilian populations, Cruz did not back down from his hawkish plans, essentially replying to the question that it doesn’t matter where the members of ISIS live. He will crush them, wherever they may be, and whomever they may be with. Cruz’s answer had a familiar ring because whenever Republican candidates are asked about rules of engagement (ROE), they afford themselves of the opportunity to complain that President Barack Obama has diminished the military, not only through budget cuts, but also by “tying their hands”. The explanation for the chaos in the Middle East, according to Republicans, is that Obama has not permitted the US military to do what needs to be done. The general Republican disdain for military “half-measures” came out explicitly in last night’s exchange among the seven remaining contenders of what once was a slate of seventeen. The word ‘drone’ was uttered during a discussion about the prospect of bringing back waterboarding, which moderator Martha Raddatz creepily enough seemed to be promoting, goading the candidates on to proclaim that they, like George W. Bush, would “do what needs to be done”. None of the waterboarding advocates appears to have any recollection of the case of Ibn al Shiekh al-Libbi, who confessed under torture that there was a connection between Al Qaeda and Saddam Hussein, thus providing a pretext for the war on Iraq. Former Florida Governor Jeb Bush (and brother of W, “The Decider” who embroiled the United States in what has become never-ending war in the Middle East) criticized drones as not being sufficient to win the war against ISIS, and in fact not a “smart” strategy at all. Jeb suggested that suspects should be captured and made to give up information. Other candidates then chimed in, including Senator Marco Rubio, who recited his familiar refrain that he would not only keep Guantánamo Bay open, but send more terrorists there! Granted, the fact that 86% of the men detained at the prison were cleared of any terrorist connections whatsoever is not the greatest talking point for wooing voters. Marco Rubio, however, appears to believe, like W, that all terrorist suspects are by definition terrorists. It is abundantly clear that if one of the more bellicose candidates is elected, he or she will not hesitate to unleash massive air power on the Middle East, the effect of which will be to make Barack Obama look like the Peace President many voters in 2008 were hoping for. This would be highly ironic, for Obama’s secret drone campaigns and JSOC assassination missions, his removal of Muammar Gaddafi from power, and his provision of hundreds of tons of weapons to the rebels in Syria, all undeniably contributed to the massive increase in the strength and reach of ISIS. Obama’s “smart warrior” façade, his refusal to put “boots on the ground” while running non-stop covert ops, has served only to provoke more murder and mayhem in the Middle East and to galvanize support for violent radical Islamist groups. Democratic contender Bernie Sanders, who campaigns on a socialist platform of domestic political and economic revolution, has repeatedly indicated that, as president, he would follow Obama’s foreign policy example by continuing drone assassination as the primary means of military intervention abroad. Unbeknownst to Sanders, the revolution that is really needed is a commitment to halt US military intervention and greatly reduce military spending, beginning with a full line-item audit of the profligate Pentagon. If only Bernie understood that all of his big-ticket items—universal health care, free college, rebuilt infrastructure, and energy independence leading to massive job production—could be paid for with a tiny fraction of the military budget. What needs to be done to save what remains of the US republic is drastically to slash the bloated military budget, rein in executive power, and resolve never again to serve as the world’s biggest bully. Sanders opposes capital punishment, but his focus on an ambitious domestic program has clouded his judgment about Obama’s use of deadly force abroad. What is most striking about the way in which the 2016 candidates for the presidency all talk about foreign policy is that they ignore the true causes of the mess in the Middle East: US intervention. It’s as though the candidates have all conspired in a secret pact to pretend that the facts are not the facts. The 9/11 attacks were retaliation for the 1991 Gulf War and its aftermath. To his credit, Bernie Sanders opposed the First Gulf War, but even he does not see fit to connect the dots for prospective voters. Instead, he politely acquiesces to the mainstream media’s preposterous insistence on painting Hillary Clinton as an accomplished foreign policymaker with the experience needed to serve as commander in chief. As sad as it may be to admit, Obama’s foreign policy appears always to have been focused on securing his legacy. Despite the fact that his ghastly “kill don’t capture” policy has normalized assassination all over the globe, Obama will end up looking pacific next to anyone who comes after him, including Hillary Clinton, who remarkably vaunts endorsements from Madeleine Albright and Henry Kissinger. Most, if not all, of the Republican candidates have gone on record to say that they will immediately shred the negotiated deal with Iran to limit that country’s nuclear capacity. What will remain of Barack Obama’s foreign policy, once he has left the White House? Renewed and emboldened intervention in the Middle East, along with the image of the 44th president as a peace maker etched into history. Surely he will look better than his successor in body count tallies, and few people will view Obama as the proximate cause of what he in fact wrought.